HBRE is a team that focuses on the client and making sure our design and your dream align. Our structure gives you the full attention you deserve throughout the project and ensures you are given the product you asked us to create. As you can see in our profile and the projects we have all over Houzz, we deeply desire to make the project more than "a new kitchen" or "a new bathroom", we want it to be a showcase piece that you can be proud of! From design to construction to final product, we walk with you every step of the way to ensure quality craftsmanship and we strive to leave you with an amazing project your are proud of and a smile on your face. We also know your home is your life, so we do all we can to make sure the project is well planned and executed on quickly, but with deep attention to detail so no steps are missed. Our team is transparent with our clients, honest, dependable, hardworking, timely, and dedicated. With more than 100 years of experience across our team, we will work hard to create a project you are proud of! At David Charlez, we are a vibrant design-oriented firm that is committed to creating distinctive built environments. Our clients become integral members of the design team, allowing their individual needs and desires to shape project direction. Thoughtful spatial organization, in conjunction with sensitivity to the individual site, allows us to provide clear, sensible, sustainable design solutions for our projects. Excellence in any endeavor is built upon talent, training, experience and dedication. With a team that combines design creativity, construction expertise and an absolute commitment to the client, David Charlez has all the tools to deliver excellence in residential design. David Charlez has an outstanding track record in designing new construction as well as remodeling projects. By applying our creative design talents to the client's ideas and desires we create a balance between style, function and economy. At David Heide Design Studio, we believe in honoring the past while planning for the future. We think of houses as works in progress, rather than artifacts. 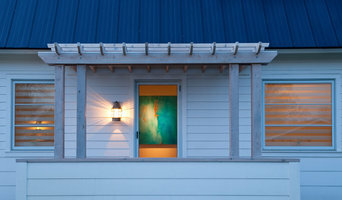 Old or new, a residence must change and evolve over time to fit the habits of its owners. Our designs for new homes and new additions blend elements of timeless residential architecture with the necessary amenities for modern living. Our remodeling and preservation work pays homage to historic character, while incorporating contemporary conveniences and comforts. Our mission is to help you understand your dreams, define the program for your project, and respond with a design that exceeds your expectations. Each design problem presents unique challenges, and we are committed to finding solutions that match your taste and lifestyle. We will meet your needs at every step in the design process with the highest level of service and quality. "Your Home Is Our Passion." The desire to create beautifully crafted homes that reflect each of our customers has been driving our design process since 1984. We specialize in designing new luxury homes based on the needs of our clients. We strive to help our clients reach their goals through a collaborative design process and partnership with local builders. Our experience and expertise allow us to excel in every aspect of design, down to the very intimate details. This is what has made our designs stand out from the crowd for over thirty years. At SALA we believe that our client collaborations transcend the idea of style. We strive to create thoughtful, timeless, and creative solutions to architectural design that connect people with their community, with nature, and with a sense of place. At times this means we are responding to the historic fabric of a home or community, and at other times we are creating fresh new forms that relate to function, purpose, and climate. We work with each client to understand their needs and aspirations, and use this knowledge to create uniquely crafted solutions for their lifestyle. U+B Architecture & Design is an award-winning architecture and interiors firm based in Minneapolis. Our strategic research & design process reveals the unique opportunities of each project and we deliver elegant design solutions that are tailored to your needs and maximize the value of your investment. Our designs are beautiful, sustainable, energy-efficient and built for quality and lasting value. Our residential work includes new homes, additions, remodels, villas, apartments, cabins, and lofts. We provide unsurpassed customer service and work as your advocate every step of the way; from master planning through construction. It's never too early in the process to meet, please call Mark Burgess or Paul Udris for a free consultation. ALTUS Architecture + Design is a firm that focuses on creating places for living that reflect the identity of the Client and are inseparable from their context or site. As a full-services architecture and interior design firm the work that we develop with our clients extends the ideals and issues of the project through to a level of craft. We believe in the refinement of human scale, the celebration of light, the intrinsic characteristics of materials and excellence of execution culminating in work of lasting integrity. The classic role of the architect who develops a “unique and custom” design for an individual client in a particular place often leads to a formulaic methodology with predictable “signature” results of an individual style attributable to the architect, with the client succumbing to the will of the architect. It is the belief of this firm, that in this period of maturing Modernism, advancing technology and emerging green design, that one must understand the qualities and issues present in all great architecture over time. For it is these issues of design integrity that can be made unique in each project. The homes on this site are an exploration of such issues that result in progressive contextualism - a belief in place making that allows each project to express an individual identity while evoking intangible experiential qualities. Each individual location has a sense of place and identity that should be amplified, whether it is on a lakefront site or 8 floors above the city. Thoughtful placement and composition of the aspects of the house on the site, with the integration of landscape design allows the project to be a natural extension of that place. Indoor and outdoor spaces merge, integrating the living experience with the site. Equally important to the creation of architecture is the capture and development of natural light. Great residential architecture seeks to celebrate the rituals of the day, and light is the spiritual food that nourishes the soul, transforming these experiences. Understanding the path of the sun, one can compose the spaces within and outside the home with natural light, enriching the experiential qualities of space and creating a sense of place. 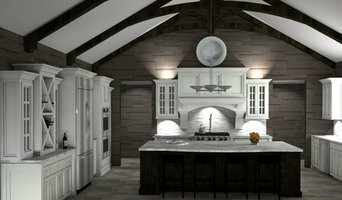 How do I find the best Burnsville architect for my home design project? It is best to hire a home architect who will be involved in all phases of the design process, from the initial concept to the completed construction. The architect is often the first person you will hire for your project. If necessary, they might also help you select and hire Minnesota subcontractors, which can include the builders, engineers and landscaper. Interior architects are also involved in negotiating contracts for all involved participants. It is for these reasons that it is extremely important for you to have a good relationship with the Burnsville residential architect you hire. He or she can be the tie-breaking vote between you and the general contractor and can be your biggest advocate during the construction process. Different architecture firms in Burnsville, MN provide different services, so the scope of the work can span from pre-design environmental impact studies to selecting furniture and finishes, depending on what your specific needs are. It is very important to hire the right professional for the job. Remember that the most well-known or established designer might not provide the best architectural services for your needs. It all comes down to the individual project. Research and ask people whose work you like for recommendations. It's important to have somewhat of an idea of the style of house architecture that you prefer, as well as the amount you would like to spend. Residential architects in Burnsville, MN are natural problem solvers. They will assess the entire situation and help you to solve your problems too. Don't settle for a single company too early. Call and interview a few. Make sure that you feel like your personalities will mesh well and that you like their professional perspective. 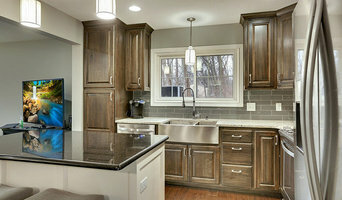 Find a home architect in Burnsville, MN on Houzz. Narrow your search in the Professionals section of the website to Burnsville architects. 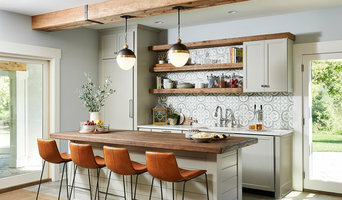 You may also look through photos of Minnesota projects to find interior architects and building designers who have worked on a project similar to yours.